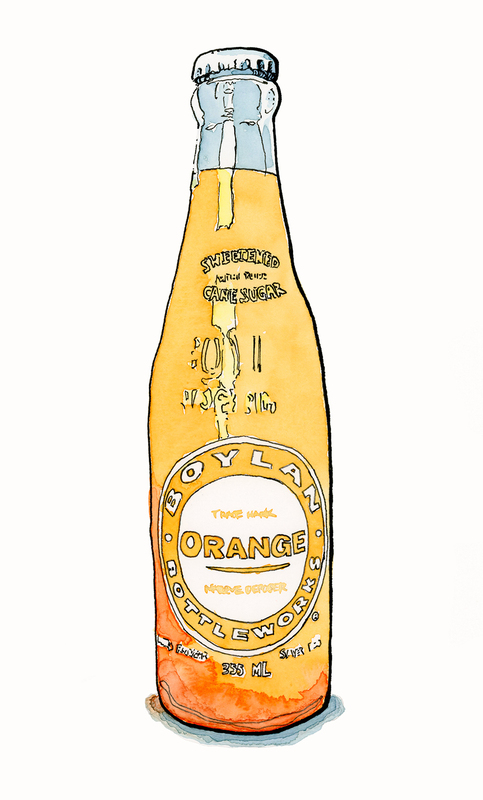 A bottle of orange Boylan soda made with real cane sugar and not that HFCS stuff (high-fructose corn syrup). The bottom of the bottle dried a little funny. Watercolour can sometimes have a way of getting away from where you wanted it to stay, which is why I sometimes use the Marie's Watercolours. They're a little bit more like gauche. So, I have to paint on top of a pencil sketch first then use ink to finish.